Oscar Schmidt autoharps feature hollow acoustic bodies, maple veneer, and laminated rock maple pin blocks. They are designed to withstand hard classroom use. 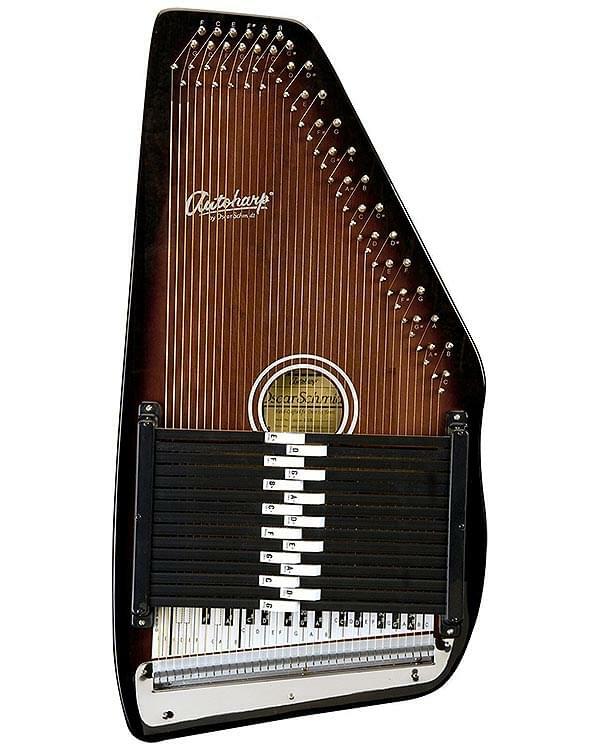 This 15 chord autoharp is the most popular model for music education. It plays in seven keys and comes with a tuning wrench and a pick.